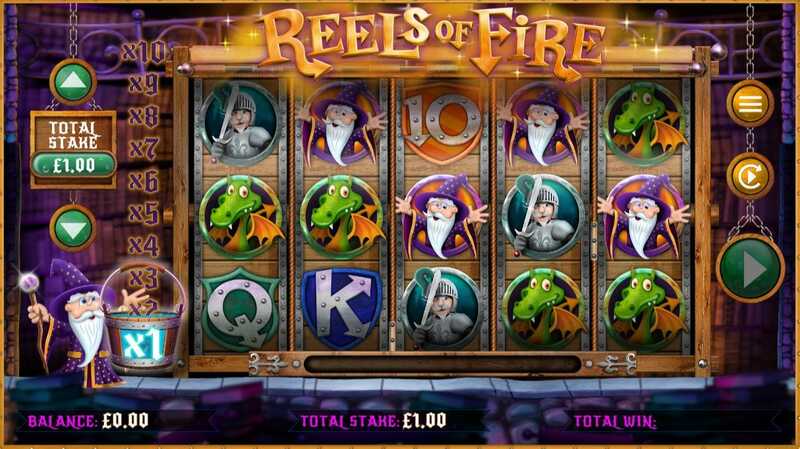 Come to the magical world of Wizards and Dragons to play Reels of Fire new online slots game! This fun 5 reel is a perfect escape into fantasyland and packed with special bonus features where players can have the opportunity to win big. Colourful graphics of friendly Wizards, cute Dragons and handsome Knights all contribute to an engaging playing experience in this world of magic and spells that is just a quick click away! CORE Gaming created so many slots that we have available for you. CORE has been successfully involved in the development and integration of a huge range of highly popular games for most of the major international operators and is currently developing a portfolio utilising vast industry knowledge and expertise in multiple platform integration and deployment. Titles include Carry on Camping, Captain Cashfall and Sean Kelly’s Storage Auctions. Visit SlotsBaby to check out available promo's. This 5 reel slot is all about matching up symbols. Players will be familiar with the usual 10, J, Q, K and A features, but there are also special characters and bonus features to look out for in the special mystical world of wizardry. Magic Multiplier – Randomly, a modifier can make a jump up a random number of multiplier increments on the ladder. Rewind Modifier – The free spins modifier positions itself on reels 1 and 3 which creates an anticipation on reel 5. If the trigger misses reel 5, the wizard may wave his magic wand to rewind the reel so the free spins trigger is visible on reel 5. Wild Wizard Modifier – During the game, the wizard can wave his magic wand to cast spells on particular symbols on the reels, turning them into wild symbols. 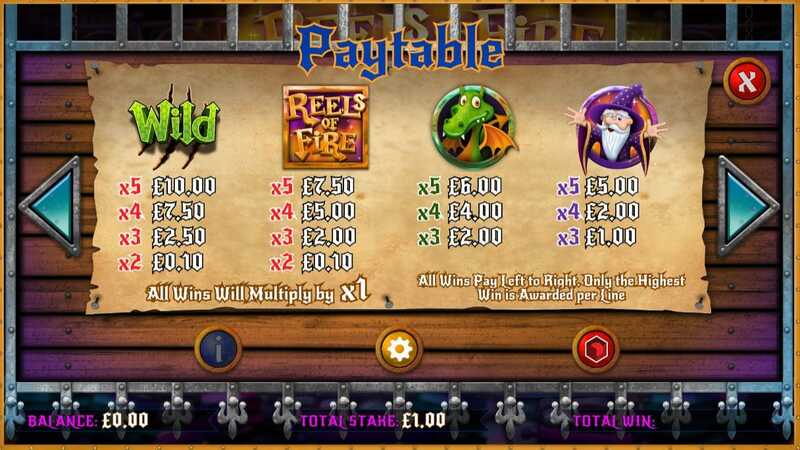 If three bonus scatter symbols land on reels 1, 3 and 5 this triggers the Wild Furnace Free Spins Feature. Wild Furnace – The player wins 15 free spins, and during this phase of the game, there will be Ignite symbols to collect. As these are collected, the player can turn whole reels Wild. Reels of Fire has a Return to Player statistic of 94.01%.